We’re halfway through January as I write this… but is there really a wrong time to set goals? Of course not! Have you got any crafty goals for 2018? In the name of accountability, I will be sharing mine with you! The first of my crafty goals: No New Yarn! 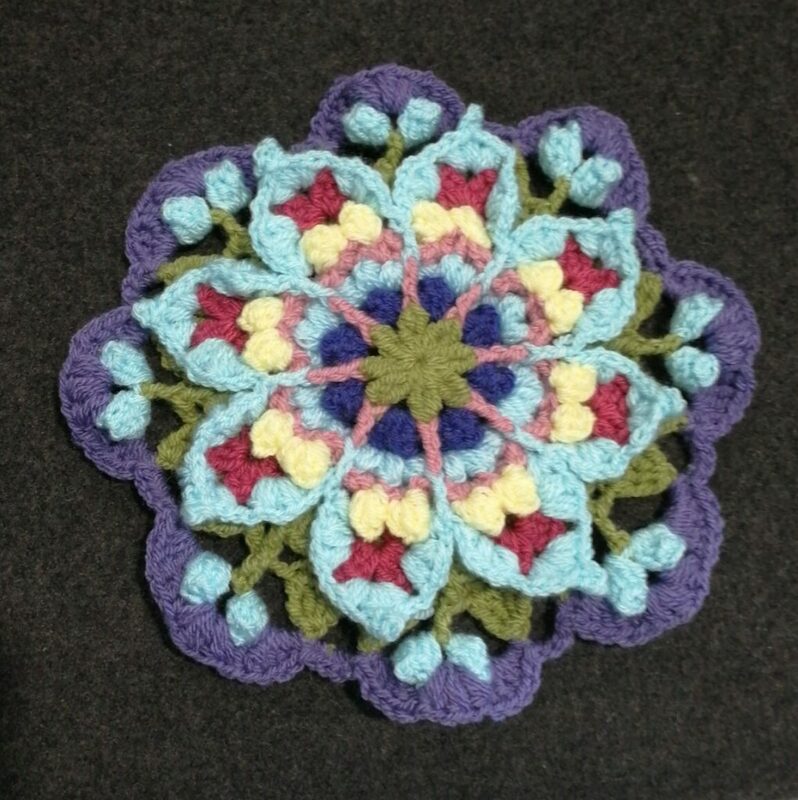 This Amanzi motif is my first stash-busting project of the year. I will not be buying any new yarn this year. Projects on my list are mostly Works In Progress (WIPs), and stash-busting ones at that. This rule has two exceptions: Rainbow Valley’s Kiss Me Quick CAL which starts in the Spring, and supplies for any commissions that I may undertake. 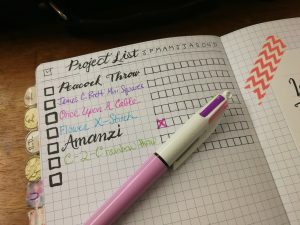 My colourful list of WIPs, with tickboxes to track when I have worked on them throughout the year. The second of my crafty goals is obvious from the above photo: Work on, if not finish up, the WIPs! I love starting a shiny, new project as much as the next gal, but the guilt-inducing pile of unfinished work is a bit draining. I want to get done with these so I can move on to my “Wanna-do” list! What’s on your Wanna-do list? Do you keep lists? Do you want to get started? Have a quick read of this blog article and if you’re at all interested, why not pop down to my Plan With Me Diary Club on Sunday the 21st? If you’re just reading this and it’s not January anymore, don’t worry, just check out our events calendar for the next Plan With Me Club session! ← Crafty Panic: Christmas is Closer than I Thought!